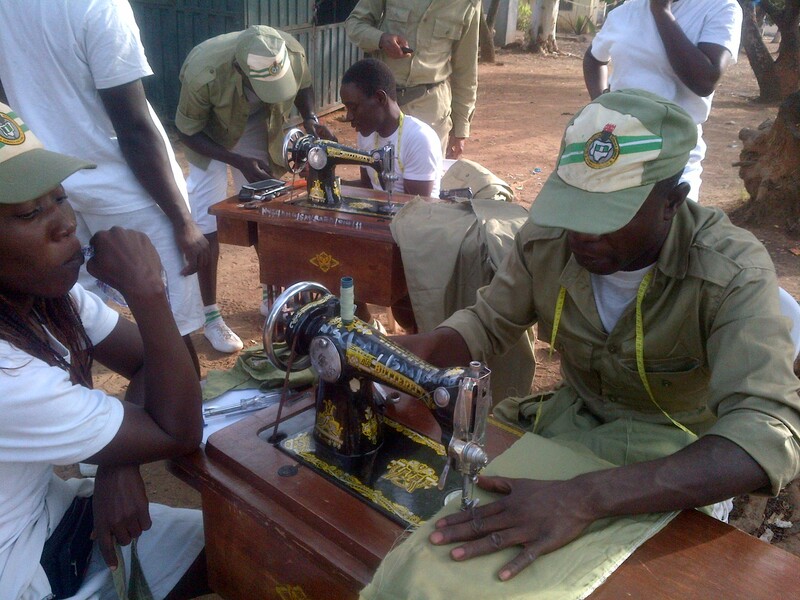 As a result of mass unemployment in the country, Director-General of National Youth Service Corps (NYSC), Brig-Gen Johnson Olawumi has called on youth corps members to take the Skills Acquisition and Entrepreneurial Development programme (SAED) very seriously to avoid roaming the streets after the service year. The NYSC boss, who spoke through the Kaduna State Coordinator of the scheme, Muhammed Momoh during the SAED exhibition at the state’s permanent orientaion camp on Friday, added that been the largest trainer of Nigerian graduates, it worried over the lamentations about unemployment, hence the need to create avenue for them to learn one skill or the other which they can rely on pending the time they may get offer of employment. According to him, the NYSC has been encouraging graduates who participate in the one year mandatory service to the country to be self reliant as government alone cannot employ ever increasing unemployed Nigerians. “The SAED is one of NYSC’s initiatives that is targeted at answering the question of ‘after NYSC, what next’. “So the management in their wisdom decided to introduce about 12 key sectors and 21 units where our graduates can learn skills right from orientation camp and continue at their various places of primary assignment (PPA), Momoh added. He further added that there is availability of soft loan between 200,000 to N2million to enable them start their own business, with their discharge certificate to serve as collateral. The Coordinator clarified that the idea of using their discharge certificate was to ensure seriousness, focus and commitment to have as many business owners as possible in Nigeria. He however hinted that one addition advantage of the programme is that the corps members can also influence other youth in their host community positively by training them to be self reliant thereby reducing general insecurity. Also contributing, the Assistant Director of SAED, Mrs. Eze Delphina, said the programme has trained thousands of graduates with a lot of them already employing more hands in their businesses. A corps member, who was trained in fishery, Oshoma Simpa though a graduate of Education Management from Ambros Ali University, Ekpoma, Edo state, thanked the NYSC, saying he has been thoroughly taught in the fishery and will continue at his PPA.